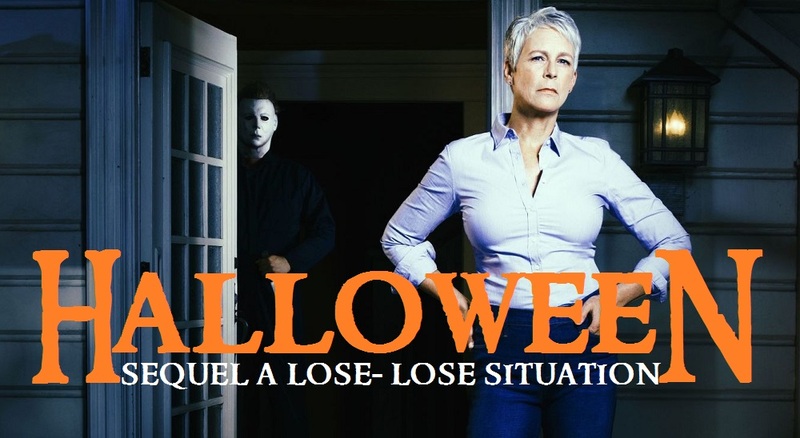 The Halloween sequel that is in production is claiming to ignore all the terrible sequels and even ignoring the sequel that many enjoy as much as the original. This may rile a few feathers but, for the most part, sounds decent and this entry will have John Carpenter's input along with Jamie Lee returning as Laurie and Nick Castle returning to play Michael Myers (The Shape, gotta say The Shape to keep it hip with the movie buffs out there). So how could this possibly be a lose-lose situation for anyone? [See: H20 and Resurrection]..... No, that is just a cheap shot and a cop-out, here is an actual answer. First lets look at it like this, this movie could be really, really good. And if that is how it goes great, but not so great. Why? Because, we will get this one great movie that will make a ton of money and everyone involved will make a ton of money and then we are back on the rushed sequel train [See: Previous Halloween Sequels for Examples] because they can't leave money on the table. And rightfully so, movies are no longer an expression or an art form, they are commodities and when something makes money you squeeze till you can't squeeze no more. Also, to be clear, Carpenter, Jamie Lee and Castle did not come back because they love the Halloween franchise, they came back because they love getting paid large sums of money. Then after a few terrible sequels get pumped out they will try and do another remake with whoever is hot at the time and then they come back, wipe the slate clean, again, wheel out a 90 year old Jamie lee and continue the never ending cycle that is this franchise. All the while ignoring the fact that most people would be happy with just a simple story, some continuity, Michael Myers and a decent body count [See: Fast and Furious for Examples]. But what if the movie is terrible? Well, then it will still make a huge amount of money and either create more terrible sequels or it will kill any hopes of seeing a decent Halloween movie for many, many years to come [See: Nightmare on Elm St. and Friday the13th for Examples]. And lets be honest, even if the movie is bad they will still get 10USD out of each and everyone of us, myself included, because we are curious and its a Halloween movie. Either way you cut it it's a lose-lose situation (you like that, I said it) and, not only us, but while all these terrible sequels are being churned out that means the next potential slasher is getting passed on or being terribly underfunded [See: Hills Run Red, Hatchet and Behind the Mask for Examples]. In closing I hope the new movie is great and if a sequel were to happen I hope that they take time to make it work and not force it. But I'm also a realist so I offer this: expect nothing and you are never disappointed.